Our Goal -To provide quality music to delight, educate and entertain a wide variety of audiences. Blackledgemusic,Inc. 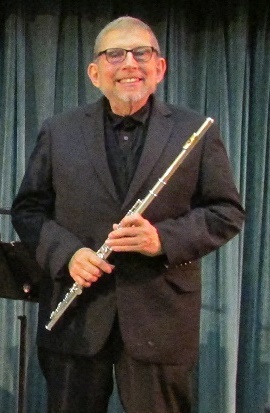 has been performing some small ensemble concerts in 2018 and a well received 2nd Connecticut Flute Orchestra concert September 16, 2018 at Wesleyan University. We are saddened to report the death of our colleague and friend Peter Standaart on Sept. 16, 2018 shortly before CTFO began its concert. We dedicated the concert to Peter - may his memory be a blessing. We miss his optimistic spirit! 2019 is here! Blackledgemusic,Inc. Concert May 12, 2019 2 PM East Hampton Public Library Community Room - East Hampton, CT . 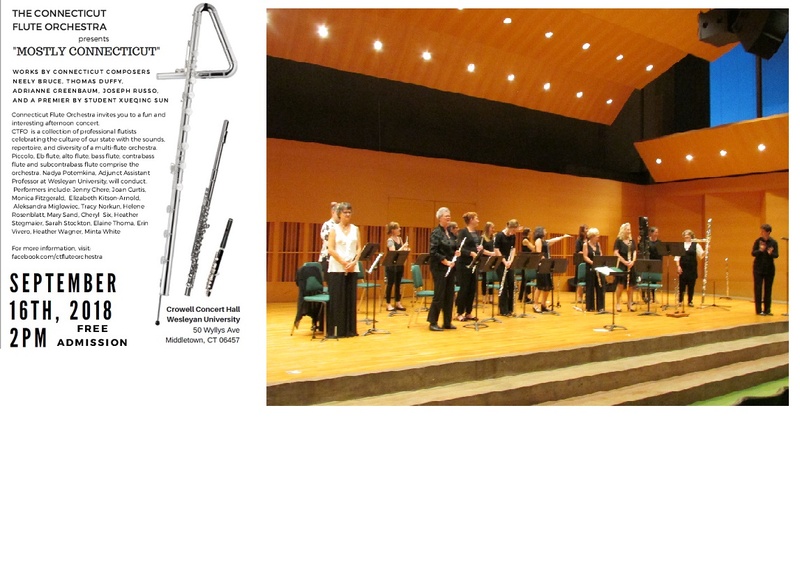 The Connecticut Flute Orchestra 3rd annual concert is scheduled for September 8, 2019 2 PM. Stay tuned for information currently scheduled for Crowell Concert Hall, Wesleyan University - which is under renovation through August. . Blackledgemusic,Inc. is continuing to plan mixed chamber music performances. Blackledge Flutes has welcomed Aleksandra (Miglowiec) Newland as a regular member. Blackledge Flute Duo has been performing at retirement facilities in CT. Blackledge Consort - a recorder trio,performed for the Mark Twain Holiday House Tour December 2, 2018, Plans are progressing to resurrect BLACKLEDGE WWQ!!!! Affiliated groups Rosewood Ensemble and Charter Oak Flutes continue to perform locally. Look for more information as 2019 progresses. Since 1996, we have been providing a wide range and variety of musical entertainment, tailored to many types of events, throughout the Connecticut and Western Massachusetts region. Blackledgemusic,Inc. provides Fiscal Sponsorship as a 501C organization for local groups performing only a limited number of concerts per year and as a means of assisting newly formed ensembles. In 2017, we welcome The Connecticut Flute Orchestra (CTFO) as a fledgling ensemble in its first year. We all have important values and ideas, things we care about and want to share. Blackledgemusic,Inc. contributes positively to this world through our music. We want to educate, enlighten, entertain,and present ideas for thought,through the experience of chamber music. Blackledgemusic,Inc. will provide fiscal support for the newly formed CTFO! Hear some Clips of our work! Go to Performance Page! Our extensive musical education, training and experience in orchestras, and chamber groups, nationally and internationally, insures a wonderful musical event forany occasion. Our holiday programs and concerts include less well-known works, by living composers and arrangers, as well as standard repertoire. Consortium members of Blackledgemusic, Inc. perform a wide range of early through contemporary music as members of many area ensembles.